The ripe seed of annual trailing herbaceous plants of Pharbitis nil (L.) Choisy or P. purpurea (L.) Voigt of family Convolvulaceae. Collected in late autumn when it's ripe and indehiscent. Light smell, pungent, bitter, and benumbing taste. 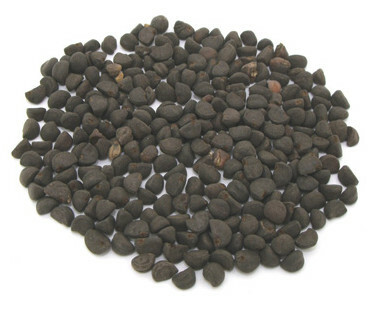 Filled seeds without impurities such as peel. Unprocessed or stir-baked, ground when use. Expel water by catharsis, induce diuresis, eliminate phlegm and retained fluid, expel ascarid. It can both expel water by catharsis and free urination to discharge water from body with urination and defecation. Its action of water expelling, and property of toxic and drastic is similar but less than that of Gan Sui and Jing Da Ji, it's suitable for excessive retained fluid without deficiency of original qi. 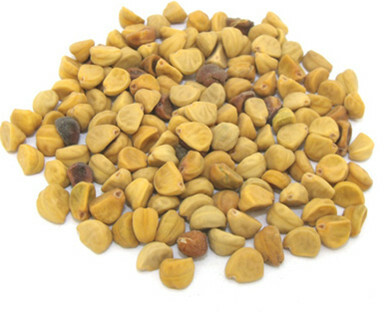 For edema, tympanites, dysuria and constipation, it is used in fine powder or combined with Gan Sui and Jing Da Ji. It can also eliminate phlegm and expel retained fluid. For cough and asthma due to phlegm and retained fluid, and swollen face, it is combined with lung-purging and dyspnea-relieving herbs such as Ting Li Zi and Sang Bai Pi, etc. It can take effect of relaxing bowels with purgative or removing stagnation and resolving accumulation when being used in small dose. Because of the bitter and cold nature, it is suitable for constipation due to heat accumulation and can be combined with offensive purgatives like Da Huang. For food stagnancy, it can be combined with digestion-promoting and qi-moving herbs, such as Lai Fu Zi and Qing Pi. It can not only expel ascarid but pass parasites with purgative from the body, and it is often combined with antihelminthic, Bing Lang and Shi Jun Zi are the examples. Decoct 3~9 g; or l.5～3 g used in powder or pills. Parching before use can modify its nature and action. It is contraindicated to pregnancy, and incompatible with Ba Dou.